An Ojibwe photographer and filmmaker, O. Brion Whitford grew up in Winnipeg’s North End and studied film at the University of Manitoba. 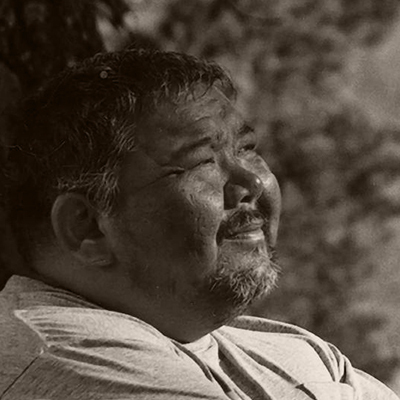 With The Gift of Diabetes, co-directed with John Paskievich, he crafted a thoughtful account of his own experience with a disease that disproportionately affects Indigenous communities. The film examined Indigenous health issues within the historical context of colonialism, winning a Public Service Award at the 2005 American Indian Film Festival. He was an active member of Keeseekoowenin First Nation and helped secure a successful land claim at Clear Lake, Riding Mountain National Park. Whitford died in 2006.